With thousands of men away serving in the armed forces, British women took on a variety of jobs during the Second World War. They also played a vital role on the home front, running households and fighting a daily battle of rationing, recycling, reusing, and cultivating food in allotments and gardens. From 1941, women were called up for war work, in roles such as mechanics, engineers, munitions workers, air raid wardens, bus and fire engine drivers. At first, only single women, aged 20-30 were called up, but by mid-1943, almost 90 per cent of single women and 80 per cent of married women were working in factories, on the land or in the armed forces. There were over 640,000 women in the armed forces, including The Women’s Royal Naval Service (WRNS), the Women’s Auxiliary Air Force (WAAF) and the Auxiliary Territorial Service (ATS), plus many more who flew unarmed aircraft, drove ambulances, served as nurses and worked behind enemy lines in the European resistance in the Special Operations Executive. 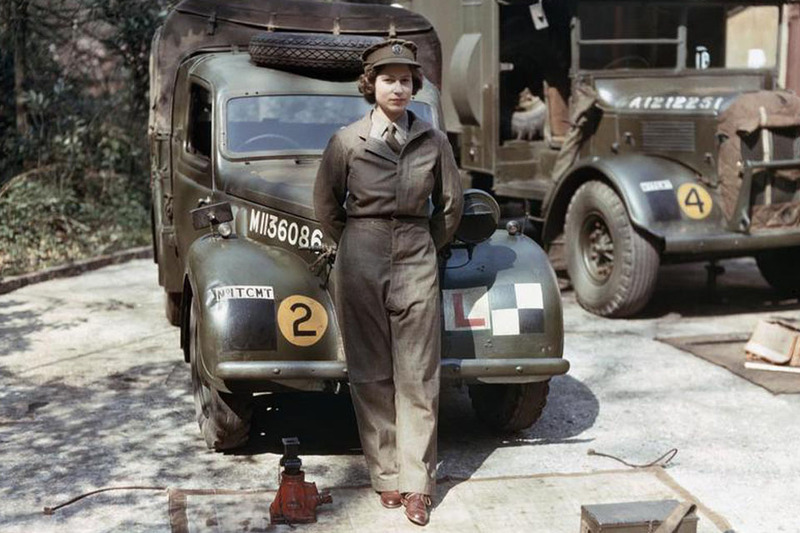 The most notable member of the ATS during the Second World War was the then Princess Elizabeth. She trained as a driver and mechanic and reached the rank of Junior Commander. Winston Churchill’s youngest daughter, Mary Churchill (later Lady Soames) also served as a member of the ATS. Away from these vital roles more than 80,000 women joined the Women’s Land Army, enduring tough conditions and long hours in isolated rural outposts in order to prevent Britain from being ‘starved out’. The women who worked on farms were known as ‘Land Girls’. They were given a uniform and had to live on the farms where they were sent to work. 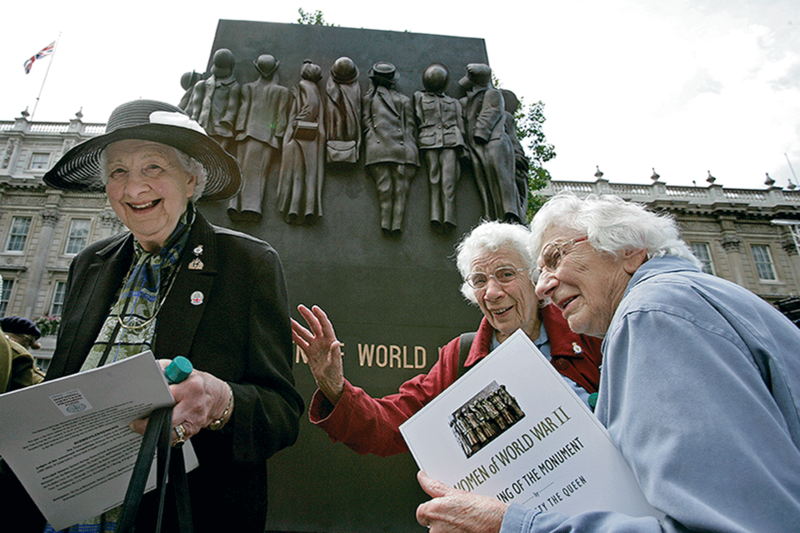 In cities, the Women’s Voluntary Service prided itself on doing ‘whatever was needed’, including famously providing support (and much needed tea and refreshments) to victims of the Blitz and those sheltering in Underground stations. In the Special Operations Executive (SOE), Churchill recruited around 60 women “to set Europe ablaze”. They were deployed behind enemy lines, usually by parachute or fishing boats, to help form a ‘secret army’ of resistance fighters preparing the way for the Allied invasion. One of the most recognisable British SOE members was French born Vera Leigh who was posthumously awarded the King’s Commendation for Brave Conduct after being captured and murdered by the Nazis. 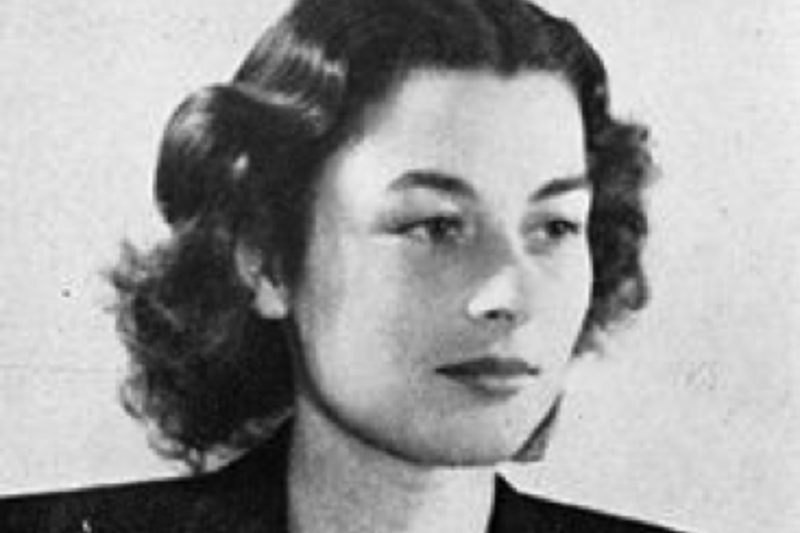 Another, Violette Szabo was immortalised in the famous film ‘Carve Her Name with Pride’ starring Virginia McKenna. 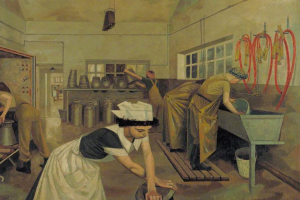 As well as serving in the war both abroad and on the Home Front, artists have extensively documented the breadth of work untaken by women during Second World War. For example, Evelyn Dunbar, Dame Laura Knight and Cecil Beaton among others took us into the lives of women during this time with their photographs and paintings. 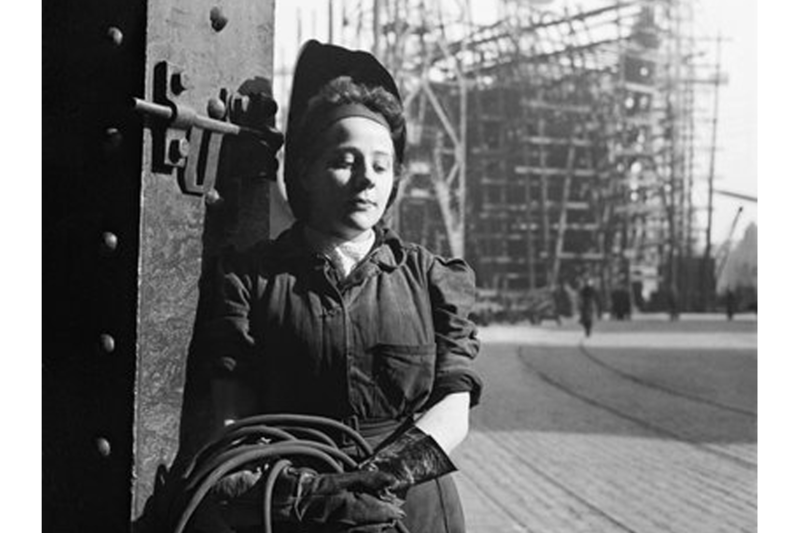 Here Cecil Beaton captures a welder working on the deck of a new ship in Tyneside, 1943. A member of the War Artists Advisory Committee, Evelyn Dunbar shows members of the Women’s Land Army Dairy Training. 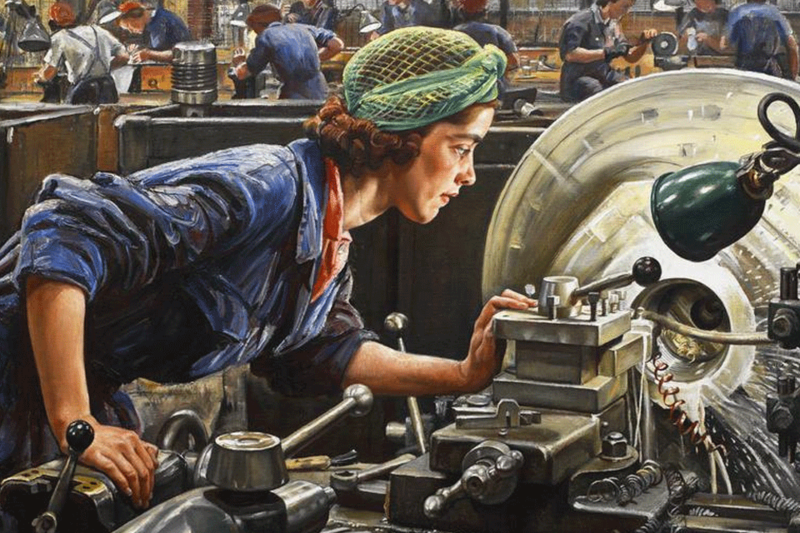 Dame Laura Knight depicts Ruby Loftus, ‘an outstanding factory worker’, screwing a Breech-ring at the Royal Ordinance Factory in Newport. …most of these women – the famous and the obscure – had one thing in common: they did not think of themselves as heroes. They followed their consciences, saw something that needed to be done, and they did it. And all of them helped win a war, even though many of them paid the ultimate price for their contribution. Even if the previous Manmohan Singh Government is discounted as an example of bad governance, what difference has Modi’s government that works made? The ground realities haven’t changed. Even if the first of the 18 MRCA's are delivered in 2015, the remaining 108 aircraft made in India will not be available for quite some time.